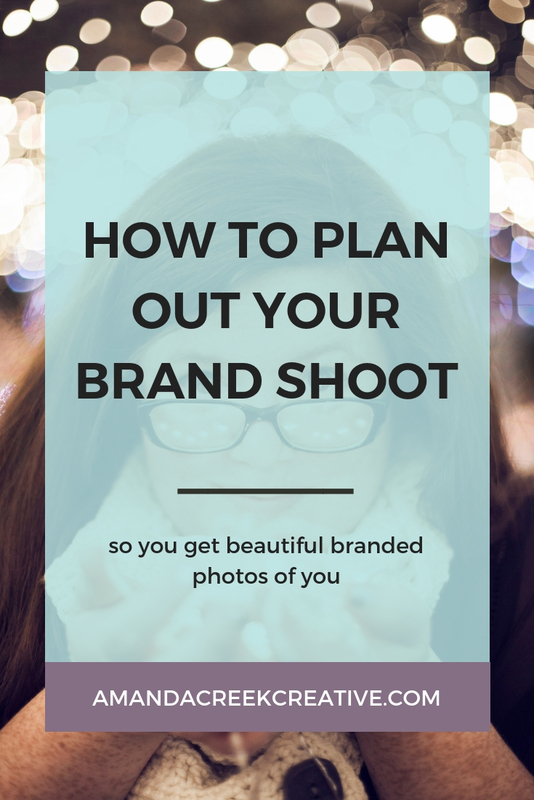 Plan the perfect photoshoot to get magical, branded photos of YOU! It might take a while to save all your hard-earned and shiny pennies to hire a professional photographer for your brand shoot. But it’s possible that right now you’re asking if it’s worth the money. The answer is, “Yes!” It most certainly is worth it. The impression that you make with pro photos on your website is more than worth it, and something that as a designer and photographer I MUST insist you do. Your web designer can’t create a site that looks beautiful without beautiful images to work with. So hiring a pro to help you out is a must. Not only will it make your website look amazing, but it will also increase the trust factor when new potential clients or customers land on your beautiful site. When you only have a few seconds to capture their attention, professional photos will tell your readers that you too are professional. And if these photos embrace your Brand Personality, they will attract the right people. 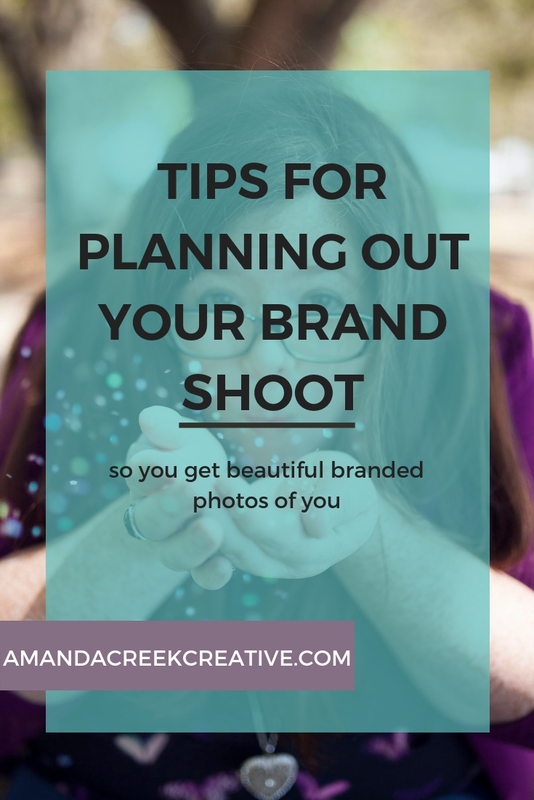 You want to attract the people who are the best fit for your Brand, so having photos that capture your Brand Personality will help to gain those right followers. 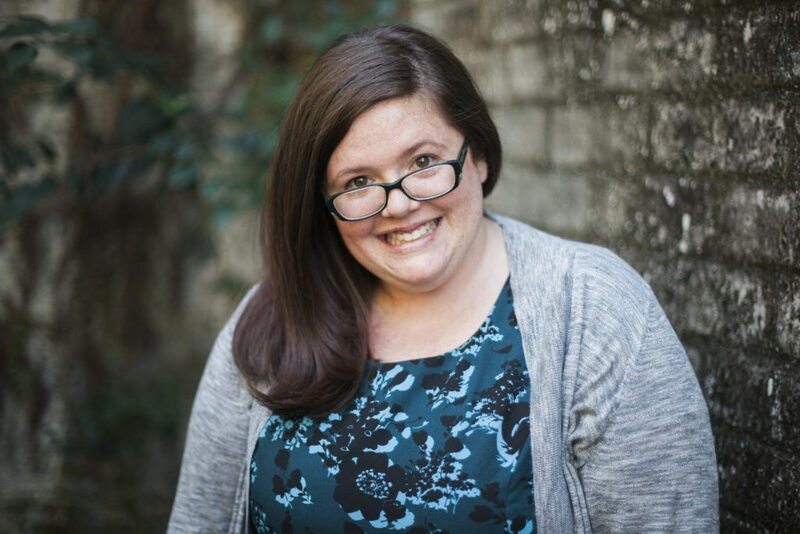 I recently had my photos taken to prep for my own website redesign, and I loved the experience so much! I’m fortunate enough to have 3 cousins who are photographers, plus a really long list of friends who are photographers since my background is in photography. So choosing a photographer was the least of my worries. What made my experience so successful, besides having an excellent photographer, was that I did a lot of planning and talking with my photographer beforehand. Plus, I took a lot of time to plan out what I really wanted — website redesign and all. I am beyond happy with the results and have had multiple photo shoots since. First up, list out the shots you need for your website. The first step of planning out your perfect photoshoot is to have an end goal in mind. Think about the photos you need and where you want to use them. I know in my mind what I’d like my website redesign to look like. Thinking about it and making a list of the different photos that I needed made it super easy to tell my photographer what shots I wanted and even to tell her some of the compositions that will be necessary for the redesign. Even breaking it down page by page for your website is super helpful. The nice thing is that my photographer provided even more than what I needed for my site, so I have other shots that I can use on social media that I didn’t even plan out. Make a list of props to create a prop box for yourself to take along. Don’t limit yourself to just the standard headshot; bring in items that represent who you are and what you do. You can even make sure these items are customized to your Brand Personality by bringing things that use your brand colors and imagery. That will make the shoot more interesting, and the end result will be photos that show your Brand Personality in a way that you can’t do with just a head-to-shoulder shot of you smiling. Before my shoot, I decided to make a prop box filled with the things I wanted to appear in my photos. I brainstormed with a friend over Zoom, and that made the prep so much fun. If she told me, “Yes put that in the box!” I did. How fun is it to plan out a brand shoot with your friend? Plus, friends usually know you and what makes the most sense with your personality. If you need some extra help creating your Branded Photo Prop Box, check out my class on Skillshare here. I used one of those plastic totes that I bought at Target and added things that made sense to my brand. You could bring some of the tools you use to regularly create your products, or you could go simple and just bring your favorite coffee cup. Plan out your outfits and even try them on before your shoot. I’m not the girliest of girls, but planning out my style, purchasing the outfits, and even trying those outfits again before the shoot made a world of difference for my confidence. When it comes to getting photos taken, I’m the worst. I HATE getting photos taken of me. By taking the time to evaluate if the clothes looked good, felt good, and showed my personal sense of style, I could go into the day of the shoot with an excited, “This will be fun!” feeling, instead of a, “Can we hurry this up, so I can go get veggie sushi?” feeling. 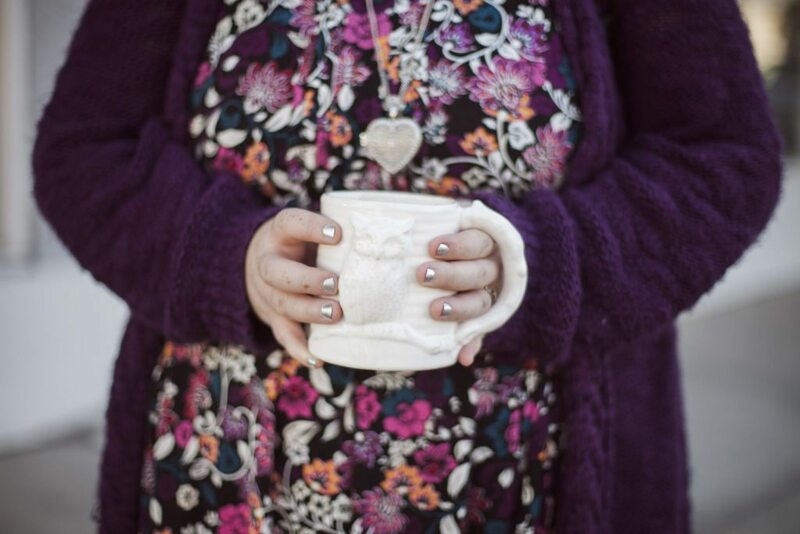 When you’re not feeling it, the photos won’t come out as lovely. You don’t need to buy a whole new wardrobe to get your photos done – especially if you’re on a budget – but you can try on your favorite outfits a couple of days ahead of time and look at yourself in a full-length mirror to see if you like what you’re wearing. If you don’t like it, you know in advance. This will save you the heartache later of getting your photos back and being majorly disappointed with what you get because those jeans don’t fit the way you wanted. Communicate your ideas with your photographer. I’m fortunate enough to have worked with my cousin who is an excellent photographer and also a friend. We chatted over all sorts of social media channels: Facebook messenger, Instagram chat, and even via Pinterest. Now don’t go spamming your photographer’s social media pages (as I did, but hey she’s my cousin), but do find where they like to share ideas and chat with them there. Don’t be shy. Telling your photographer what you want will go a long way to getting what you want. Speaking as a former wedding photographer, I always loved getting ideas of what my clients wanted. Realize that your photographer won’t copy things exactly; they’re an artist after all. They will get ideas from what you send them, and they’ll take them and run with it in their own way – with a clearer idea of your expectations and hopes. Planning really does make all the difference and can help you to have a good experience. In all my planning, I wasn’t sure about where to take the photos. Since I was in constant communication with my photographer in the days leading up to my shoot, we were able to see that my original idea wasn’t a very good one location-wise. Before I talked to her about the location, I sent her all my ideas. When I told her the site I had in mind, she quickly pointed out that the location wouldn’t actually work for what I wanted. She made a new suggestion and showed me a few photos she’d taken in the area. I was so excited and happy that we went to the locations she’d chosen. The end result was even better than what I had in mind. Without planning, the shoot wouldn’t have gone as well, and I wouldn’t have all of the fun photos I have now, to use on my website and social media! Plan out the little things that you’ll want to bring with you to make the shoot go as smoothly as possible. Things like bottles of water for yourself and your photographer and snacks. You know: the things that may come up if you’re going to be outside taking lots of photos for a big chunk of time. Just make a simple list of these items and put them in a bag or something for you to easily access and tote around. After my shoot, I now have an extensive library of branded photos that I can use everywhere. I didn’t have a library to choose from before, so it makes planning a website redesign so much easier. If I hadn’t done the planning ahead of time, I can’t imagine that it would have been half as enjoyable or successful. Have you taken branded photos for your website? What are your hesitations? Download your list of "20 Must Have Photos For Your Creative Biz"!